Arthritis Care of Texas called on Epic Marketing to help them build a marketing strategy from the ground up. They needed to rebrand their clinic and start from scratch. Essentially beginning as a start-up company with no brand identity, online presence, or advertising collateral, their main focus was to hit the ground running—fast, which is exactly what we helped them do. Utilizing our history of past successes in the healthcare industry, we quickly provided an all-inclusive marketing solution that exceeded their expectations. Epic Marketing has helped dozens of clients in the physical medicine industry increase their leads and improve their profitability. For Arthritis Care of Texas, we developed an entire advertising campaign that generated 424 unique new patient leads in their very first month. Since then we added TV commercials, direct marketing elements, and a responsive website with a highly effective digital campaign, and have averaged 834 unique leads per month. Epic Marketing’s comprehensive medical marketing expertise allowed them to successfully transition to a new brand quickly and cost effectively, by developing high yield ads, and efficiently leveraging media options. 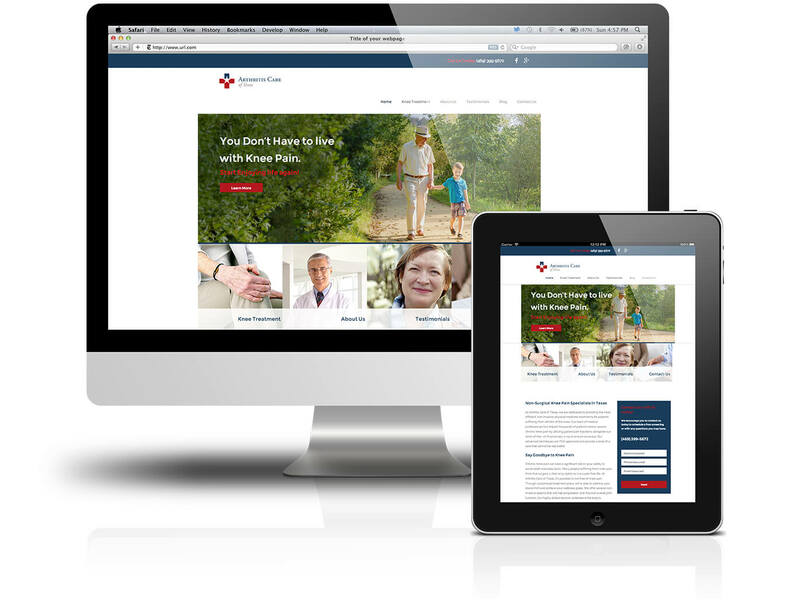 The doctors at Arthritis Care of Texas were able to focus caring for their patients, while Epic Marketing skillfully handled the marketing. The net result is a better brand, a high volume of well qualified leads and improved profitability.